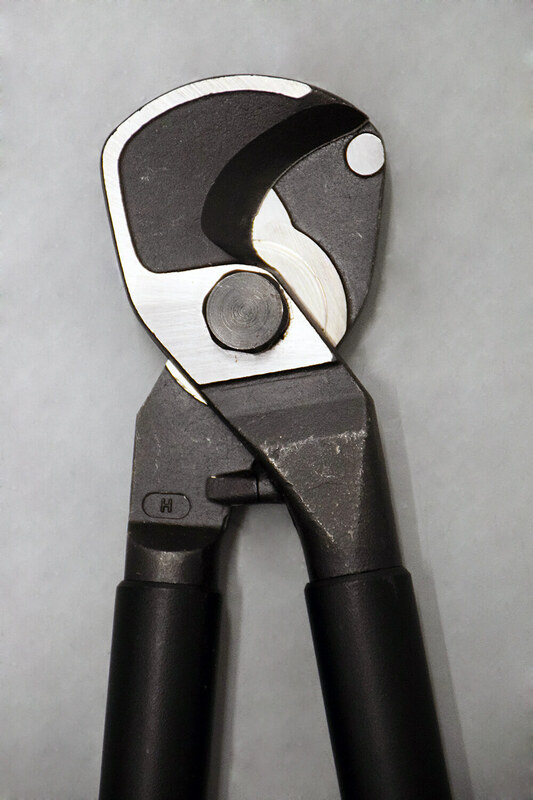 Large cutting capacity shears with 27mm diameter, perfect for cutting copper lengths, multi stranded cables and aluminium single conductors. 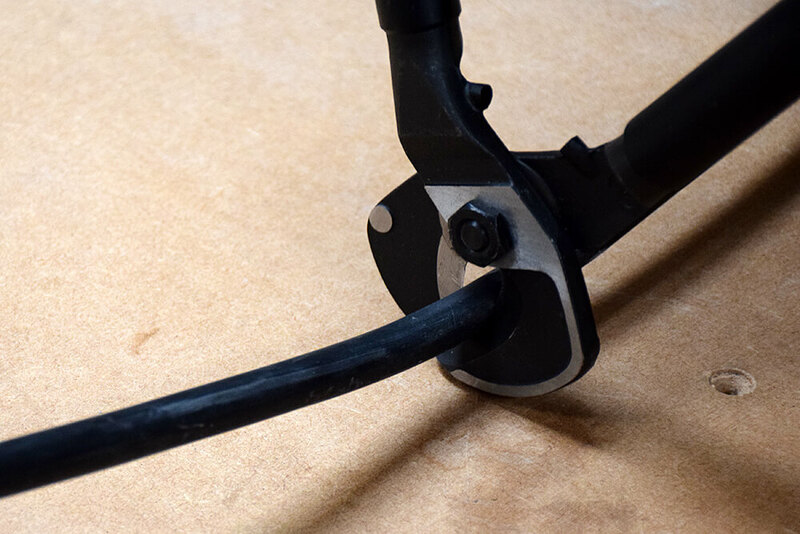 Long 500mm handles for better leverage. Clean cut finish with minimal effort, with oil hardened steel blades. Knipex is a name that has been long associated with quality and high performance tools. Their specialty lies in producing innovative tools that are useful in every way, reliable, quick and safe. 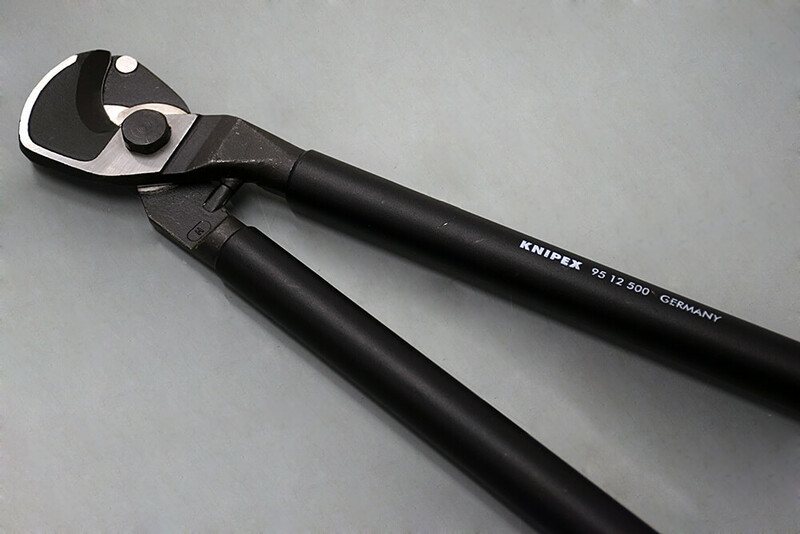 Cutting multi stranded and copper cable can seem laborious, but Knipex have made it quick and simple with their 500mm Cable Shears. The handles are made from high strength aluminium and the head of the cutter is made from vanadium electric steel, that is oil hardened too. 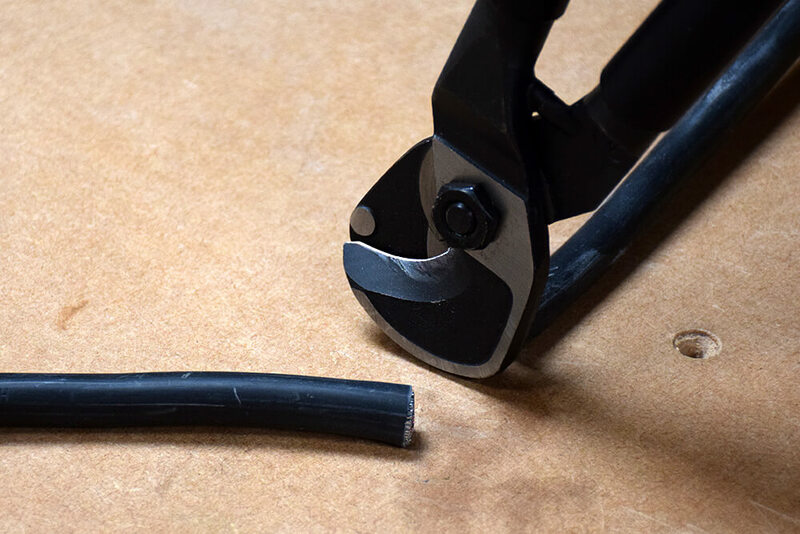 “It’s just so easy to cut through cable because of the handle length and the amount of leverage you get, the blades just sink through the cable like it’s butter” our experienced electrical trainer says. 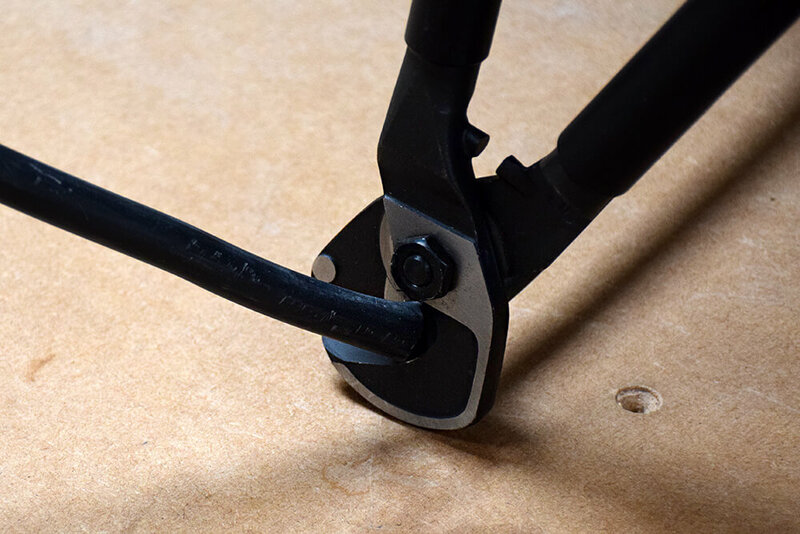 These cable shears are perfect for times when you need to quickly and efficiently cut lengths of cable, because of the speed and ease of use. The blades have maintained their sharp and precise cut, even after 6 years of use. 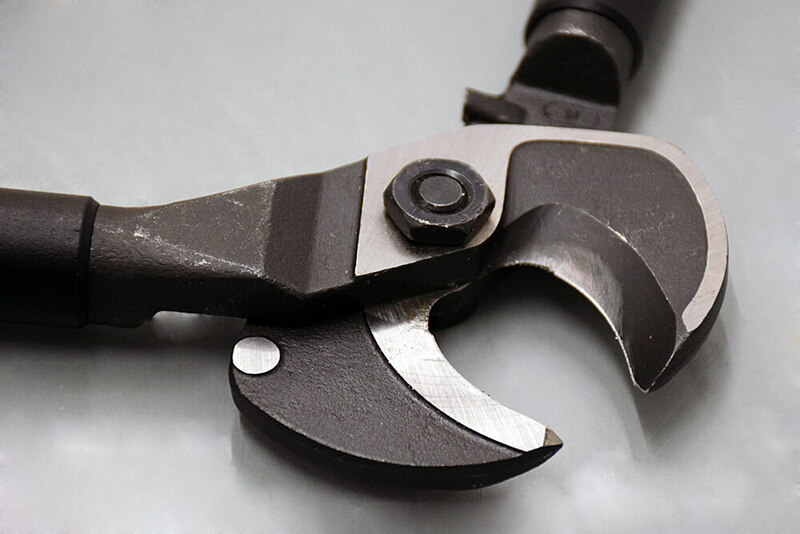 “I’ve had these cable shears a long time, they’ve had a lot of use and abuse and they are still going strong. At one point I was using them every day for about 6 months and they still look and work as good as new” our electrical trainer says. The high leverage you get with the long 500mm handles means that you can use these shears all day without straining yourself. 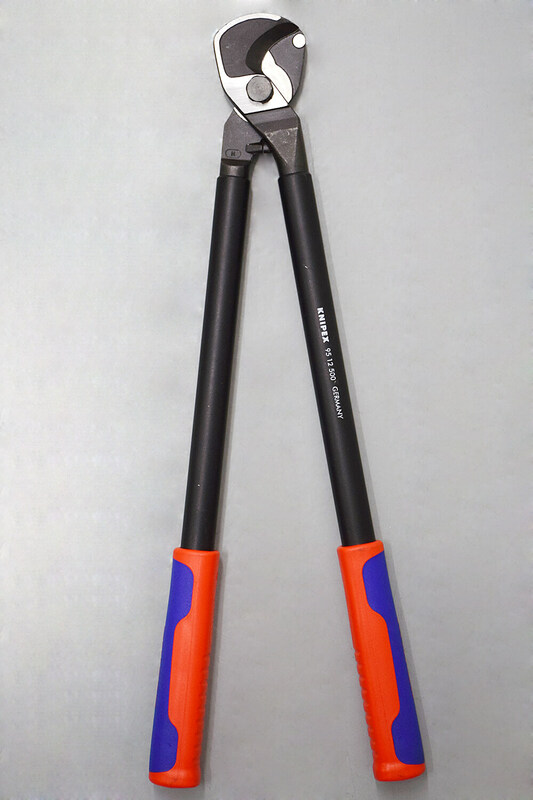 However, their length is also a downside, as they are quite large to carry around on site, but they are quicker than the smaller ratchet type cutters. 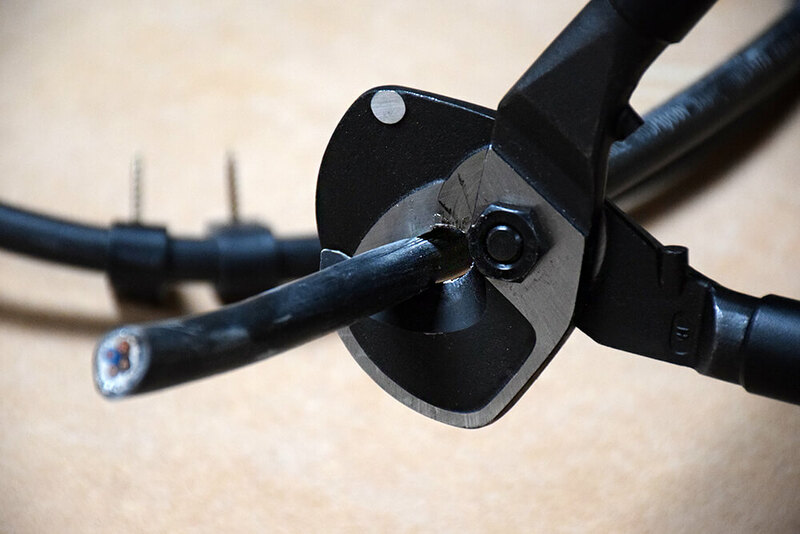 For on-site work where you are cutting a lot of cable lengths, these cable shears will get the job done neatly, without damaging the cable, and in no time at all. Easy to use and give a very clean and precise finish. 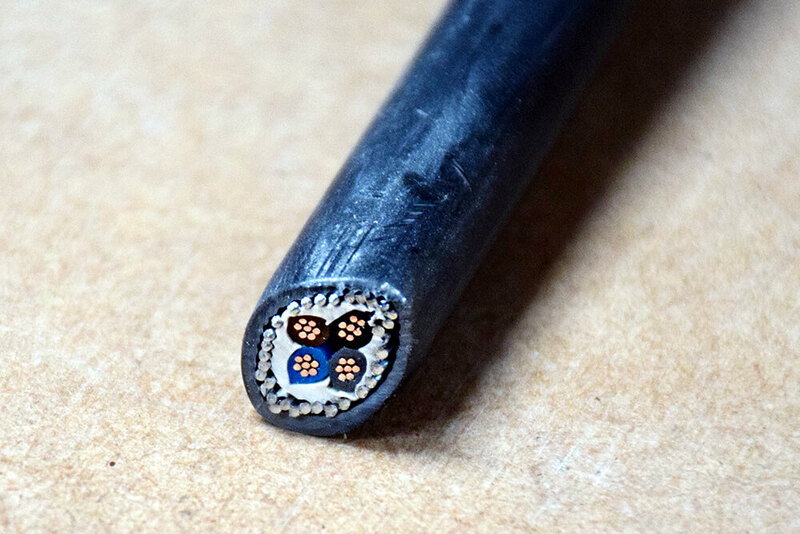 Quicker than ratchet cutters and slices through cables with minimal effort or damage. Long handles mean you can get a better leverage and easier cutting. Size is the only con, as they are bulky to carry around on site or put in your tool bag. You can buy these Knipex Cable Shears on Amazon or from various online tool retailers for £80-100. Looking for more Knipex tool reviews? 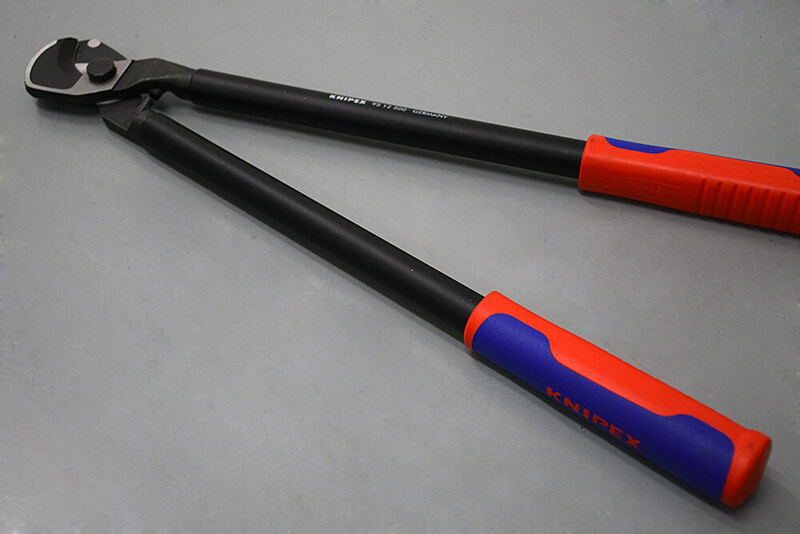 Take a look at our Knipex 250mm Plier Wrench review!